We keep backups of your content to make sure that nothing gets lost and we do it every twelve hours. 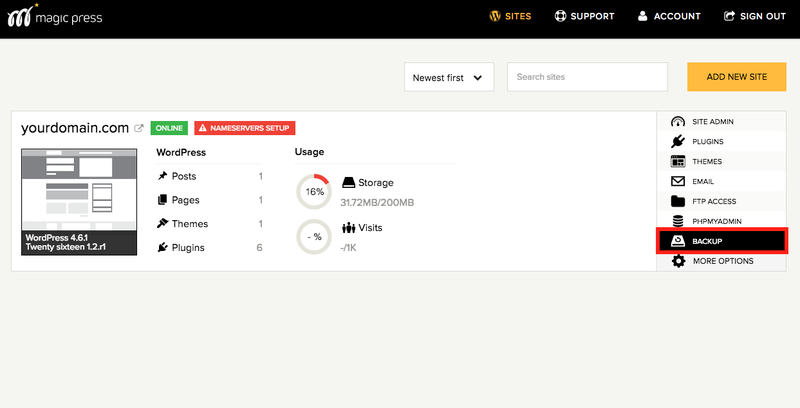 You can have a look-see over your backup history and direct access to it. You can restore your files or your database or both and return your website to the date you desire. 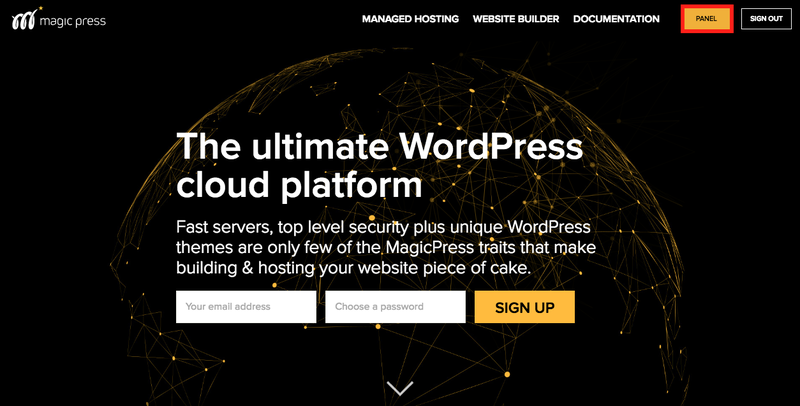 Assuming that you are already signed-in on your MagicPress account, click the PANEL button on the up-right corner of your page. Your MagicPress panel will appear. Press the BACKUP button. 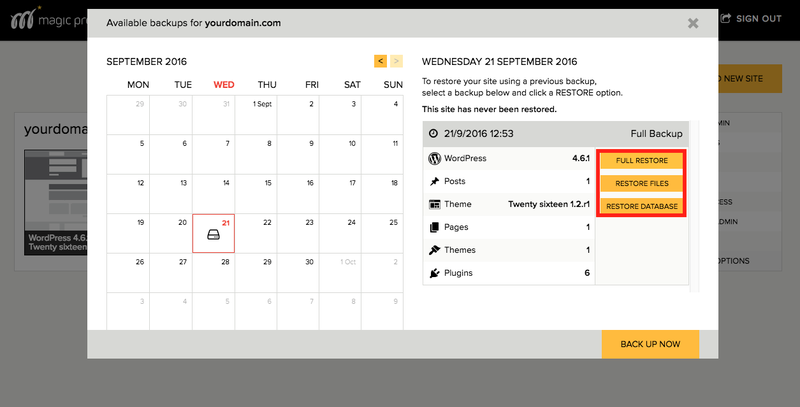 It will take you to your backup calendar where you can see the date and time your backup was performed. If you want to immediately perform a backup press BACK UP NOW. 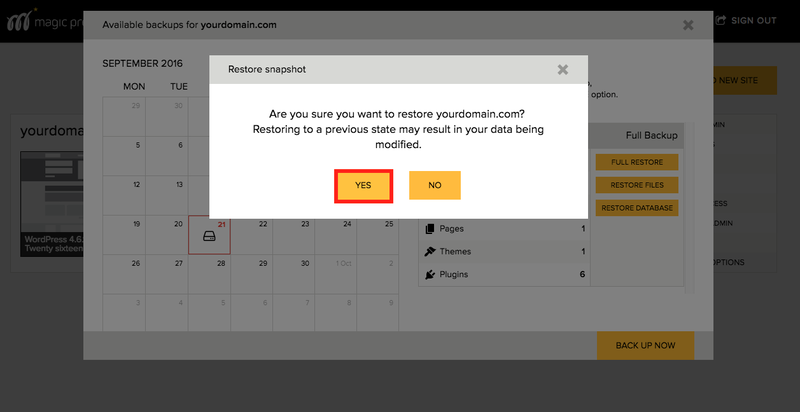 Alternatively if you want to restore your website to its previous state, pick the date you want to go back to and press any of the three options given. 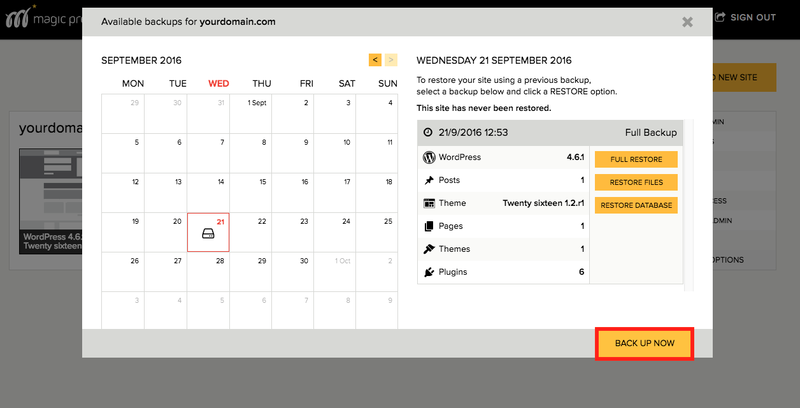 You can do a full restore of your website, restore your files or your database all to the date of your choice. After choosing the type of restore you want to perform, click YES and your restore process will initiate.